Product Lifecycle Management (PLM) is both a process and a technology. 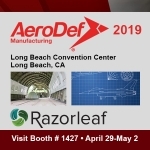 At Razorleaf, we understand how to apply the practice and business workflows to help our clients take full advantage of what PLM offers an organization. We provide consulting, implementation planning, project management and workflow tools that help our clients develop, market, manufacture, distribute, and even dispose of a product throughout its entire lifecycle. 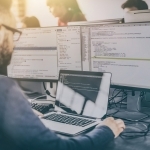 Well planned PLM systems that best support an organization’s internal workflows help project teams collaborate to share more accurate information and help bring product plans to market. PLM tools helps track all of the information required to produce and support products including product information, supporting files, vendor and purchasing information. The management tools in PLM provide security, automatic revision and change history, searching capabilities, project management and workflow management tools that allow users to optimize their processes and automate the movement of approvals, change notices, and other time-sensitive tasks. PLM benefits include security of product data and facilitated regulatory compliance; automated revision and change management; advanced searching capabilities that assure adherence to corporate standards and data reuse; and advanced project management tools. By electronically routing all of the supporting information and documentation with the workflow, PLM tools greatly reduce the time required for any user to evaluate and sign-off on designs, dramatically shortening approval and overall design cycle time. To get started today, contact us, someone will respond within 24 hours.